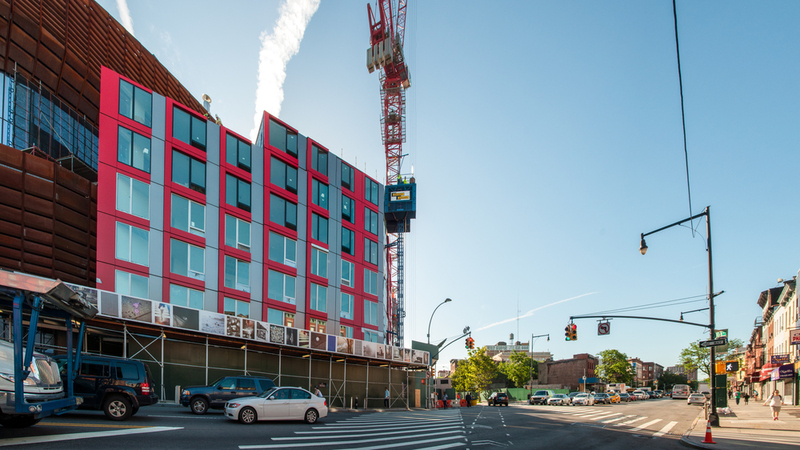 Installation of prefab units has resumed onsite at the Atlantic Yards B2 tower, after a month long installation stoppage. Currently, unit installation has progressed to the eighth floor of the 32-story building. Projected completion of the tower has been recently pushed back to the latter half of 2015 as installation of prefab units has proceeded at a much slower pace than originally promised. Looking east along Dean Street. Looking north along Dean Street. A Dean Street module lifted for installation. Installation of a Dean Street module. Looking west at the corner of Dean Street and 6th Avenue. The seventh floor has introduced a new module type of light grey, perforated metal panel amongst the black metal panel modules below. 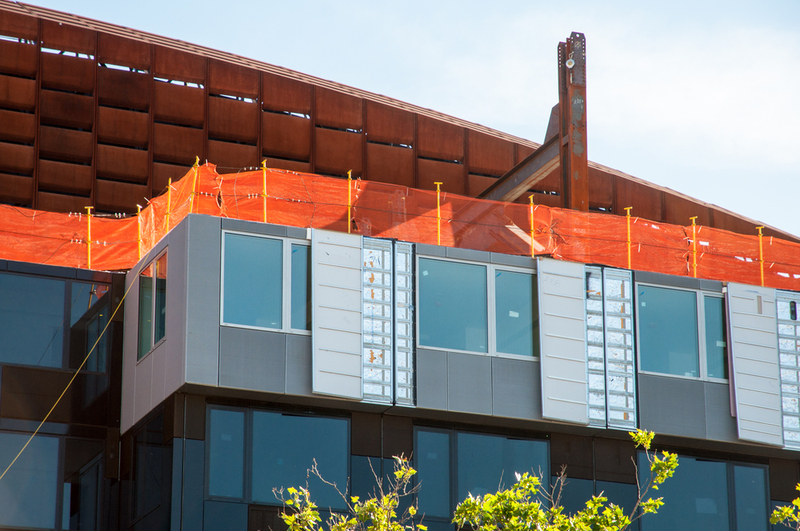 A new module type on the seventh floor facing 6th Avenue. Looking south along 6th Avenue. Module delivered to the site. Preparing to lift a module for installation.